How Fat Is YOUR Wallet? 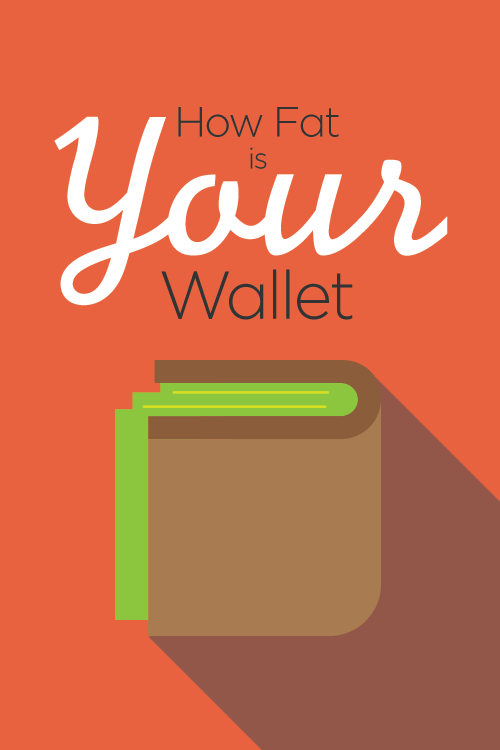 Wallet Wellness is coming to an end and we’re curious… how fat did your wallet get this summer? Did you implement any new ideas into your household? Learn to spend less and save more? We hope so! Whether you’re already on track or just getting into the swing of things, Start Small by Thinking Big is a simple first-step to getting on track. Remember, small changes can lead to BIG results and even greater success. It’s never to late to start or start over. And, once you meet that first goal, why not start working on your next one? Don’t Take the Joy Out of It! Being financially responsible can sound like a drag, but it’s really not! In fact, it opens the door to creativity and spontaneity in a whole new way! Don’t focus on what you can’t do because you’d rather sock that extra money away for an amazing future. Ask yourself what makes you happy and find a way to create that experience for less. Want to plan a nice dinner for loved one? Instead of a fancy restaurant, make his or her favorites and pack a picnic. The thought is much more impressive than the cost! Check out 20 FUN Things to Do for Under $20 and Kids, Money and Fun for more cool ways to have crazy amounts of fun and still meet your financial goals, too! These are the biggies. Take care of these four, and watch your wallet fatten up! And, if your main concern right now is how to control your debt, check out In the Dark About Debt for some helpful tips! Don’t Forget to Pay It Forward! Don’t hoard this new knowledge! Help your friends and loved ones get on track, too! It starts at home. Are you and your significant other on the same page? Do your kids know the value of money? Check out Raise Kids with Money Sense and 5 Ways to Make Saving a Family Affair, and make sure everyone in your family is focused on your family’s financial goals! Is your family already on board? Spread the wealth and tell your friends and extended family about what you learned. Money talks tend to be hush-hush, but sharing ideas and supporting each other’s goals can be a real motivator! Remember, when it comes to padding your wallet, FAT is IN! Keep moving toward your financial goals, and let us know what’s working for you! Good luck! This entry was posted on Thursday, July 31st, 2014 at 3:44 pm	and is filed under Primerica, Tips, Wallet Wellness. You can follow any responses to this entry through the RSS 2.0 feed. You can leave a response, or trackback from your own site.